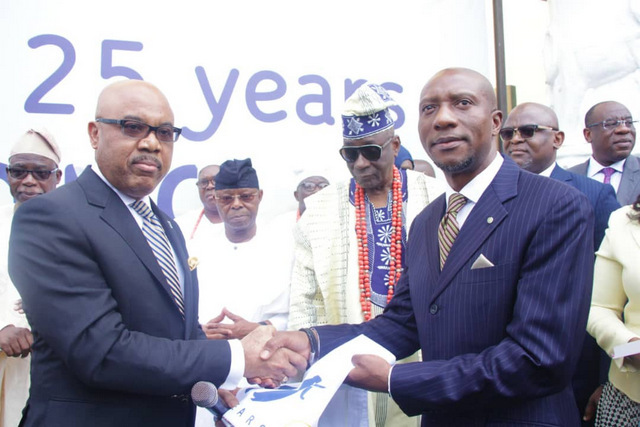 Nigeria’s Premier financial institution and iconic banking Brand, First Bank of Nigeria Limited had the world stand still on Friday, 1 March 2019, as it held its symbolic flag hoisting ceremony across Nigeria and other countries where it does business. 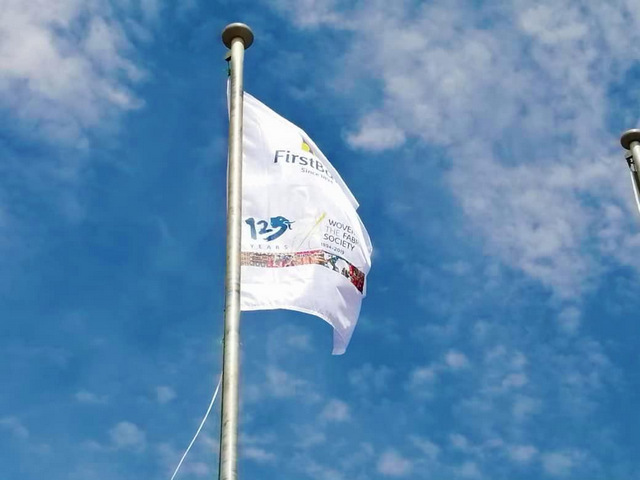 The celebratory flag hoisting officially flags off the bank’s commemoration of attaining the milestone year of 125. 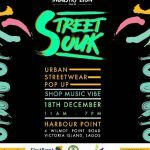 The event was also to reinforce the Bank’s continuous march to greatness; a march that exemplifies tenacity, doggedness, viability, socio-economic impact and commitment across the length and breadth of Nigeria, Africa’s largest economy. 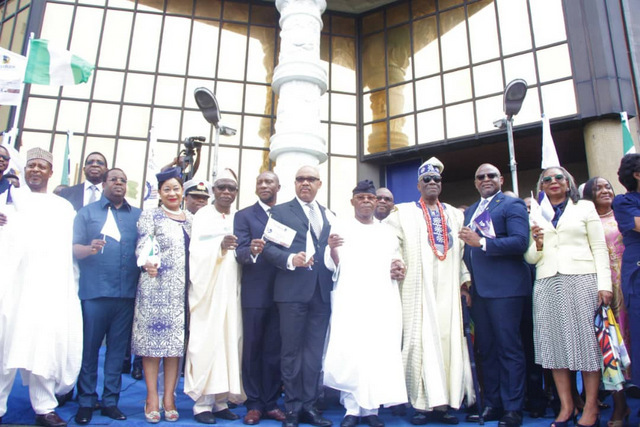 The flag hoisting ceremony was held in honour of the Bank’s illustrious journey that started 125 years ago, a journey that encompasses more than half a dozen nations across Africa, Europe and Asia; notably Ghana, DR Congo, Sierra Leone, Senegal, Gambia, Guinea, China, UK and France. The distinctively designed anniversary flag comprised the Bank’s iconic logo – the elephant head in the yellow gold dynamic shape; the figure 125 written in The Dreamer Font with the number “5” chipped out of an elephant tusk; the weaving needle; the embroidered fabrics from different cultures – Yoruba Adire, Tiv Lishi, Ghana Kente, the Scottish kilt to illustrate the diversity of a brand that transcends beyond borders and across Continents. 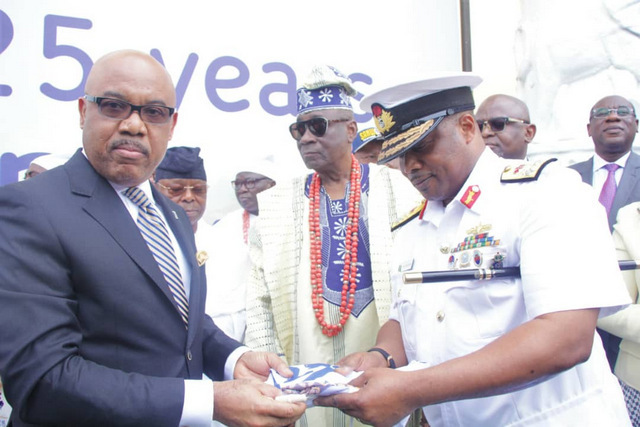 In the course of the event, the symbolic flag was presented to the Oba of Lagos, his Royal Highness, Oba Rilwan Akiolu, in recognition of his traditional leadership of Lagos, the State where the journey began 125 years ago; the Chief of Naval Staff, represented by Rear Admiral Adebari, in recognition of the movement across the waters by the Bank’s founders from the United Kingdom; the Deputy Governor of the Central Bank, Mr Adebisi Shonubi represented by Director of Banking Operations, Dipo Fatokun as the event is not just about FirstBank but to pride the industry as one that has impacted the Nation through a century and a quarter years and lastly, the Chief Executive Officer, the Nigerian Stock Exchange, Oscar N. Onyema, signifying the Bank as the oldest listed company. 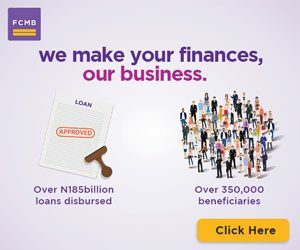 In the welcome address delivered by the Bank’s Chief Executive Officer, Dr Adesola Adeduntan, he noted that the flag symbolises the identity, impact, permanence and reverence of a long-standing institution which predates Nigeria as a unified entity and added that FirstBank is entrenched in the nation’s development; woven into the very fabric of society, with the Bank’s involvement in every stage of national growth and development. 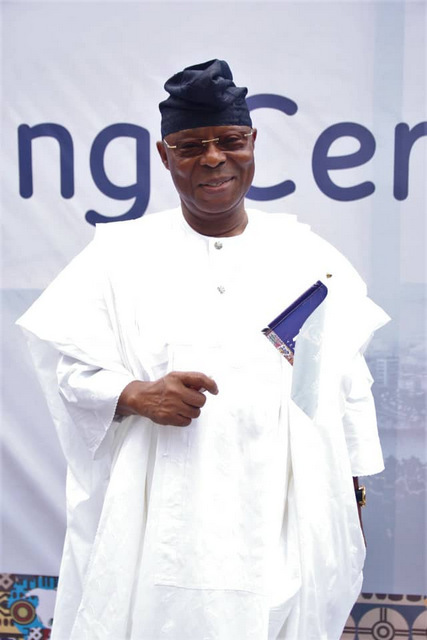 Reinforcing the Bank’s Corporate Responsibility and Sustainability, whilst forging ahead into the future, across its business location, Adeduntan said “Supporting our host communities to promote sustainable development and of course, putting You First, in all our business activities are some of the many secrets of our long existence. We are now building for the next 125 years and beyond; purposefully blazing the trail in our industry and ensuring that we maintain our leadership position. 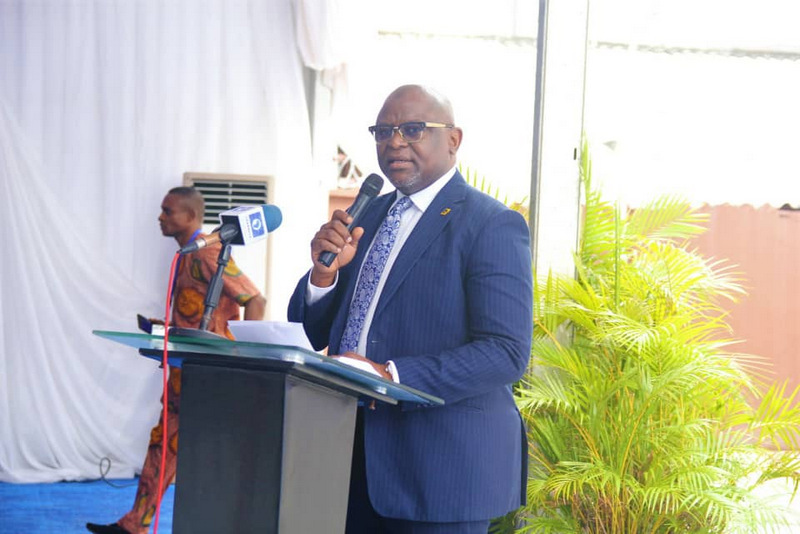 Expressing his goodwill message to the Bank, the Chief Executive Officer of the Nigerian Stock Exchange (NSE), Oscar N. Onyema OON buttressed the Bank’s impact on the Nigerian Stock Exchange. 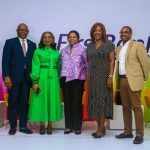 He said “FirstBank is one of the very first companies to be listed on the Exchange and they have become a bellwether for us when you look at the Banking industry. 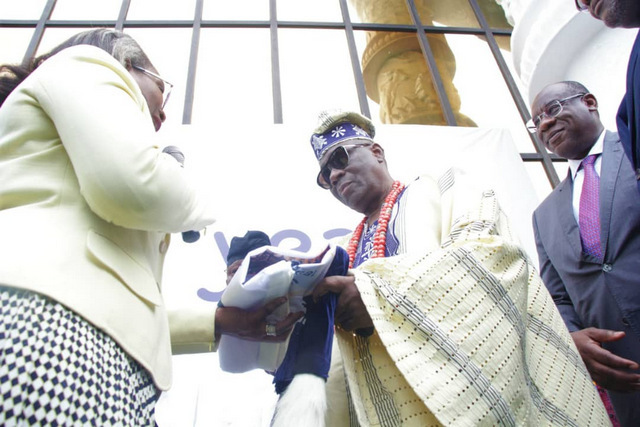 In addition Onyema identified the leadership role by the Bank in the NSE stating that “They have also produced a number of Presidents of the Council of the Exchange; from Oba Otudeko to Asabia and other captains of industry that FirstBank has offered to the Nigerian Stock Exchange. 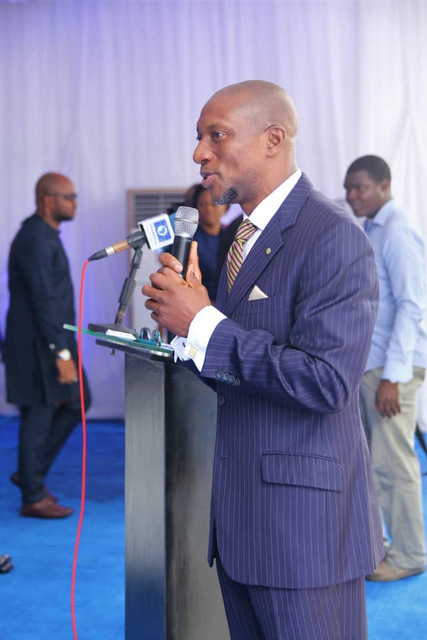 Also speaking, Mr Adebisi Shonubi, Deputy Governor of the Central Bank of Nigeria, represented by Director of banking operations, Dipo Fatokun lauded the bank for its achievement in the development of the financial sector and Nigeria as a whole. 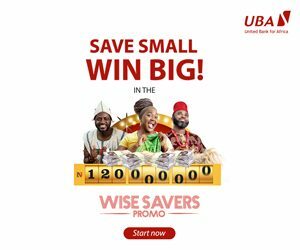 Shonubi said that the history of the Central Bank of Nigeria cannot be written without the name of the Bank, FirstBank, lettered in gold, as the Bank has impacted the nation at large. 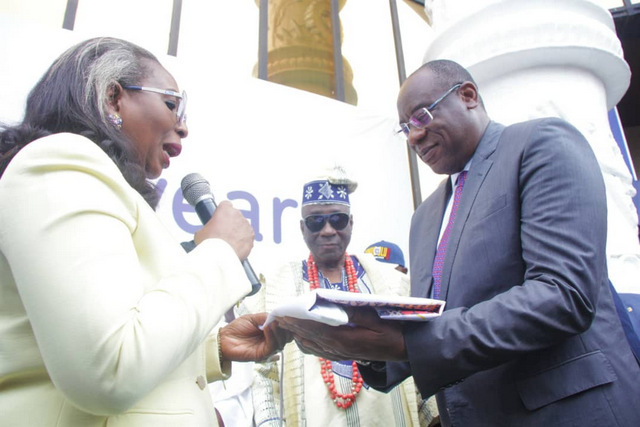 Other eminent personalities and dignitaries at the event include the former Managing Director of FirstBank and former Governor of the Central Bank of Nigeria, Mr Joseph Sanusi; immediate past Managing Director of the Bank, Mr. Bisi Onasanya; Former Nigerian Minister of Industry and former President of the Lagos State Chamber of Commerce and Industry, Mrs. Nike Akande and former Nigeria’s Minister of Communication Technology, Dr Omobola Johnson. Horse guards parade by the Nigeria Police were at the venue to add to the glitz and glamour of the event as well the military band who were on ground to provide music throughout the event, thereby instilling the Bank’s resolve to foster its support to customers, Nigeria and other locations across Continents where the Bank operates. The anniversary flag and flag of countries where the Bank does business were hoisted at the Bank’s headquarters to represent the nations, peoples and the diversity the Bank represents.